This one bowl Crazy Cake is the easiest and best chocolate cake you’ll ever make. This is Chocolate Crazy Cake, and it’s probably my favorite cake of all time. Crazy Cake was one of the very first posts on the blog, back when I was still wrapping bowls in my living room throws and calling it “food styling”. *shudder*. It was long past time I resurrect this recipe with some fresh photos for all the new faces around here. So what makes this chocolate cake so crazy? Well, first, it doesn’t use any eggs or butter. In fact, this cake is totally dairy free and vegan friendly. Huuuuzzah! Second, it’s ridiculously easy to make. You know how most cakes require creaming butter and sugar and mixing the dry ingredients separately and all that other time consuming nonsense? Yeah, this cake doesn’t do any of that. Instead, you whisk together all the dry ingredients in a bowl, make a hole in the center, pour in the wet ingredients, then stir it all together. 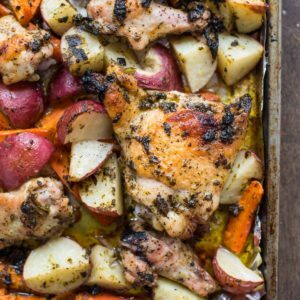 Pour it in a pan, and boom, you’re ready to bake. One bowl does it. Seriously, I think you can make this even faster than a cake mix. Finally, this cake is off the chain good. Super chocolatey, fluffy, and moist (apologies to all those who hate that word), it’s pretty much all I’ve ever wanted in a chocolate cake. In my family, this is a go-to dessert. It can be whipped up in a flash, and it’s pretty much a guaranteed success. We have two traditions for Crazy Cake that really puts this thing over the top though. First, we serve it with Caramel Glaze. It comes together on the stove top in about 10 minutes and gets poured on the cake while still warm. 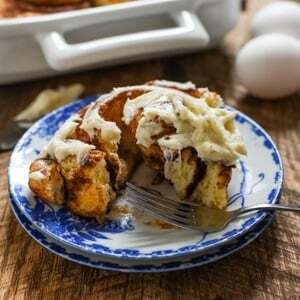 As it cools, the glaze hardens into this dreamy, crackly, brown sugary frosting. Chocolate cake = good. 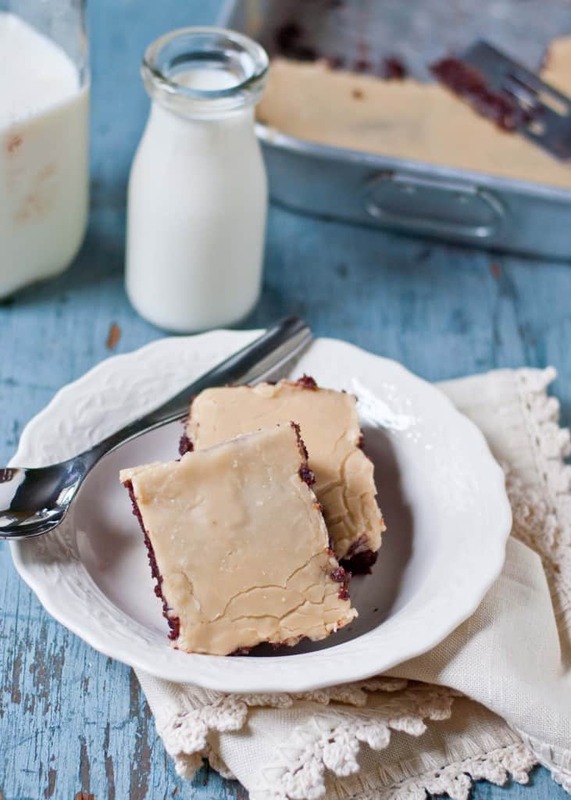 Chocolate Cake with Caramel Glaze = Drop everything and consume the entire pan immediately. Skinny Jeans be damned! The second tradition is to serve the cake warm with cold milk poured over the top. I grew up eating cake in a bowl with milk, so this is the most normal thing in the world to me, but I realize many of you are probably raising your eyebrow and hovering over the exit button right now. If you’ve never tried cake and milk before, I must insist you do. It may be better than cookies and milk (but please don’t tell Oreo I said so). This Crazy Cake slurps up the milk into all its chocolatey nooks and crannies until it’s just a puddle of chocolate caramel goo. That doesn’t sound good at all, does it? Words fail me. This is one tradition you’ll just have to try for yourself. Oh, and one more thing. If ever there was a time to use whole milk, this is it. It’s the holidays after all, and we’re not fooling anyone. We’re eating cake, not kale. So why not get a little crazy? Whaddya say? Preheat the oven to 350 degrees. Grease and flour a 9 x 13 inch baking pan. In a large bowl, whisk together the cocoa powder, sugar, flour, salt, soda, and baking powder. (Note: If your cocoa powder is clumpy, you may need to sift it before whisking in). Make a hole in the center of the dry ingredients then pour in the water, oil, vinegar, and vanilla. Mix all the ingredients together until smooth. Pour in the prepared baking pan and bake for 30 minutes, or until toothpick inserted in the center comes out clean. In a small sauce pan, melt the butter. Add the brown sugar and bring to a boil, whisking constantly, until sugar is dissolved. Add the cream and bring back to a boil. Remove from heat and sift 1 cup powdered sugar into the pot. Whisk until smooth. Continue to add powdered sugar until desired consistency is reached. (It should be thick, but pourable--like the consistency of maple syrup). Pour the glaze over the cake while it's still hot, then allow to cool on the cake. In my house we always ate cake and pudding with milk on when I was a kid. I still do- my daughter thinks I am odd! Love the recipe – thanks. I’m so glad we’re not the only ones! 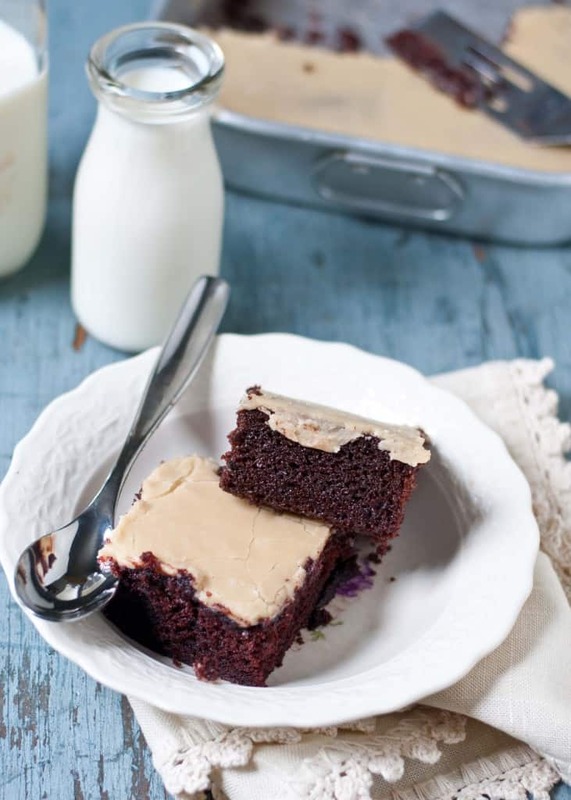 This cake is so perfect for sopping up the milk. It may seem odd, but I couldn’t share the recipe without sharing our favorite way to eat it. Hope you love it as much as we do! So I came across this post after looking at the Peach Slump – which I will be making this week. For the record, in our house we call it Wacky Cake (since before I was born I think) and I agree with everything you posted about the recipe. 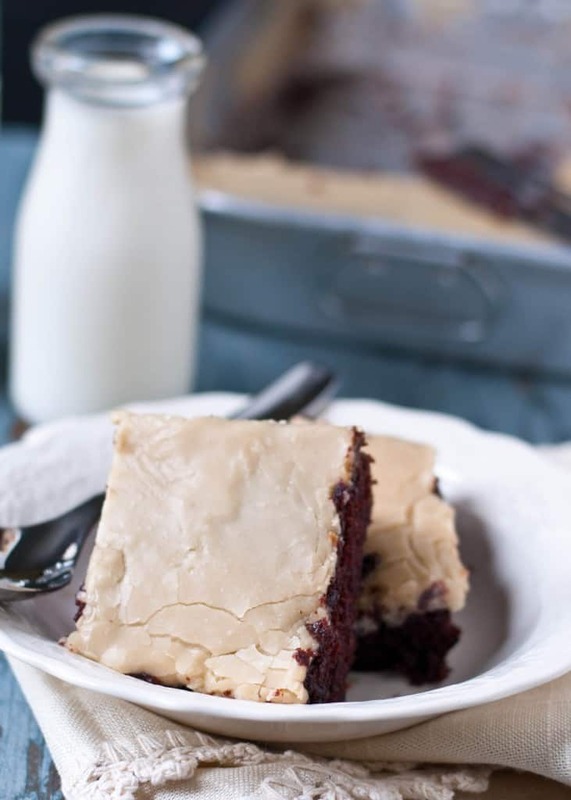 It is our go-to chocolate cake, never anything else, simple butter icing. 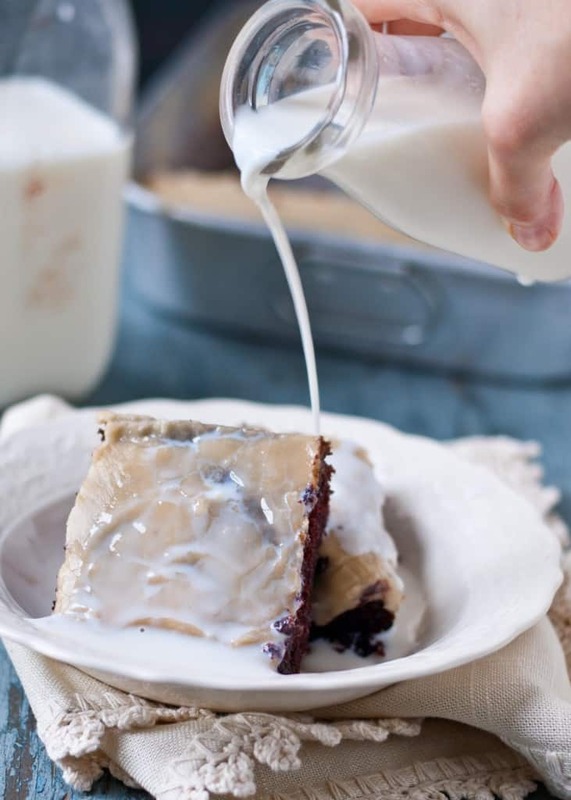 I am reprinting your version to try the Caramel Glaze which looks delicious and am completely open minded about the milk idea – call it chocolate bread pudding if nothing else!! I love that this goes by different names in different places. 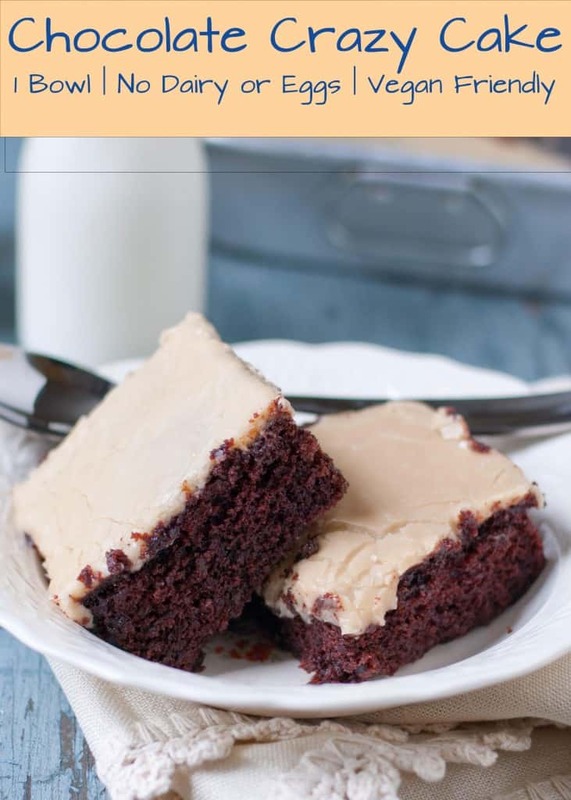 I’ve honestly only tried it with a chocolate sour cream frosting and this caramel glaze. The caramel is just so good I have a hard time choosing anything else. I hope you give the milk a try! It’s my favorite way to eat it. It this Thanksgiving. My family always eats it in a bowl with milk too! It’s the ONLY way to eat it. ?